Nintendo Switch is the perfect console for local multiplayer - simply crack off those Joy-Con and start having fun with whoever happens to be in the room with you. 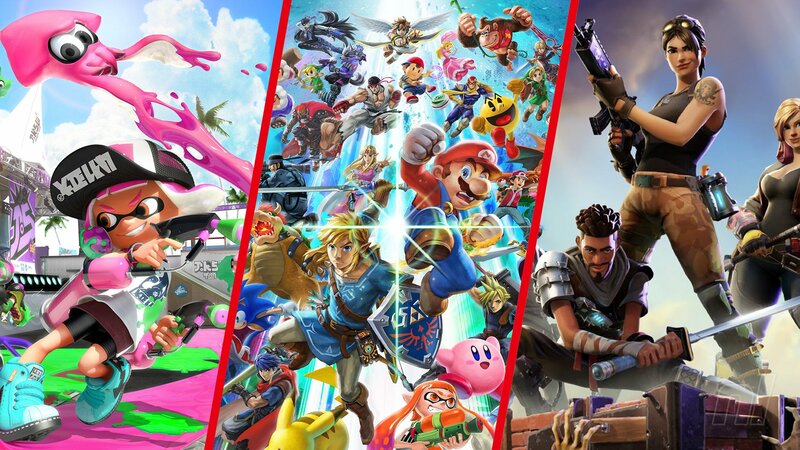 However, the console has built up a solid portfolio of online multiplayer games since launch, too, and we've picked out a handful - in no particular order - to help you get the most out of your online experience. The launch of Nintendo Switch Online - Nintendo's paid subscription service - means play over the internet can't be accessed for the vast majority of titles on the system without paying for it; this doesn't apply to free-to-play games, though (Fortnite, for example). 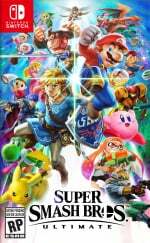 While Nintendo's online infrastructure has had a rocky reputation in the past, Switch has come on leaps and bounds since launch and, despite its foibles (let's not talk about the cumbersome voice chat solution and tie-in phone app), Nintendo Switch Online is certainly worth the modest monthly or annual fee if you've got Switch friends in distant places (there are also ways to make that cost even more reasonable if you're willing to share). The subscription also gives you access to an ever-growing catalogue of lovely NES games to play at your leisure, many with online multiplayer options courtesy of the service's built-in framework, so in addition to the gems we've picked out below, you've always got the option to go retro if you fancy playing Double Dragon or Super Mario Bros. 3 with a faraway friend. A list of the best couch co-op games for Switch is available if you prefer multiplayer of the local variety, but let's sit back and take a look at the best online multiplayer games currently available on the console. Please note that some of the links on this page are affiliate links. If you click them and make a purchase we may receive a small percentage of the sale which helps support the site. Please read our FTC Disclosure for more information. Splatoon 2 is just about everything you could ask for from a sequel. It builds on everything the original online team shooter set up and then some; almost every single major issue people had with the first game has been resolved, showing that Nintendo is genuinely listening and wants to deliver the absolute best experience possible. It maintains the freshness you’d expect and throws in countless big and small changes and additions, every one of them for the better. Anyone who says Nintendo can’t do online should be eating their words right now; Splatoon 2 is simply ink-redible. Let’s face it – this is probably sitting on your Switch dashboard already, and there it should stay. Epic has delivered the full fat Battle Royale experience of Fortnite on the ‘homeheld’. You’re sure to notice the framerate difference if you’re coming from other consoles, but performance-wise, it’s steady and perfectly playable. Frequent updates keep the game feeling fresh and, crucially, that just-one-more feeling survives the transition to Switch intact. Before you know it, you’ll be eyeing the clock at 3:56 am thinking ‘hmm, that’s not a round number’. The heart-pounding suspense of making it to the final two may not be healthy, but it sure is addictive. Fortnite is one of Switch's most nail-biting online experiences. One of modern gaming's true online multiplayer success stories, Rocket League is an essential addition to the Switch's striking library. The spirit of the game has been transferred perfectly, with the added benefit of portable play which opens up the chance to host local matches with your Switch owning mates wherever and whenever you fancy. Developer Panic Button has done an utterly fantastic job with this port, but technical wizardry aside, what really matters is that the core game is so addictive, so compelling, so enjoyable and – perhaps above all else – so deep. 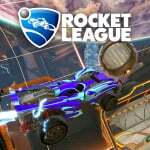 Don't let anyone tell you that Rocket League is simplistic or lacks longevity; the vibrant community that has grown up around Psyonix's masterpiece renders that viewpoint wholly incorrect. It rewards skilful play and perseverance, and new tactics and strategies seem to flow from each and every match you partake in. Only the occasional network niggle throws shade on this otherwise sublime release, but it's still an essential online experience. 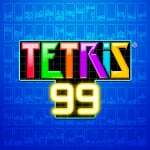 The complete oddball of the family, Tetris 99 offers a truly unique way to play the tried-and-tested classic, even if the overall package feels a little lightweight. Playing live against 98 others is chaotic, and the action feels fast, precise, and wonderfully addictive. 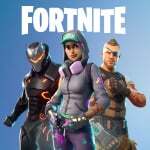 It’s seriously difficult, too – we’d fancy our chances in Fortnite over this any day – and we’re impressed with the fact that it's forced us to play the game with a completely different approach to our usual slow-and-steady ways. Signing up for Nintendo Switch Online just to play this game might be a bit of a stretch, but if you’re already a member, what are you waiting for? It’s free, and it might just become your next favourite time sink. Honourable Mention: Puyo Puyo Tetris - While Tetris 99 has stolen its limelight, Puyo Puyo Tetris is still a remarkable entry in the puzzle genre, combining two of the greats in one fantastic package with solid online play. Diablo III: Eternal Collection is a lovely port of a classic RPG loot-a-thon that keeps its feet firmly in the past. The execution is wonderful, but its gameplay is not something that will appeal to everyone due to the high level of repetition. Local multiplayer is a beautiful addition, and even though the limitations of having to have all four characters on one screen can be mildly irksome, it’s still excellent fun. Online is the absolute bee’s knees in contrast, allowing you to drop into any friend’s game at a moment’s notice provided they’ll allow it, and continue grabbing loot and smashing evil in the face. Its visuals are clear and functional if not especially interesting, but performance is top notch to make up for it. If you’re looking for a loot-driven grind-a-thon with more explosions of viscera than you can comfortably discuss with your mother, this is the game for you. 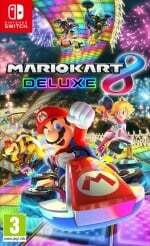 Mario Kart 8 Deluxe delivers a huge amount of racing goodness right out of the box; arguably the best Mario Kart release we've seen. Some will argue about where this entry stands in the pantheon of the franchise, but for our money it's competing for top spot. It's the definitive Mario Kart 8 experience, content-rich and a delightful feast of comedic, cartoonish karting action. You can play solo or in two-player split-screen online, with Global and Regional rooms for racing and battling. With a solid online setup that has the potential to keep you playing for months and even years to come, it's a game that continually raises a smile and, occasionally, induces that trademark Mario Kart rage as shells strike and positions are lost. It's addictive and unifying, unfiltered fun that draws in anyone daring enough to take up the wheel. 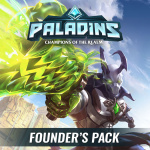 Hi-Rez Studios' team-based shooter Paladins: Champions of the Realm is an easy sell. As exciting, tense and rewarding as Overwatch, it brings the cross-platform hero shooter to a new platform without sacrificing the moreish gameplay elements that made it such a hit with both gamers and pros. There’s a definitive learning curve for those looking to play competitively, but it’s nonetheless one of the console’s best multiplayer games. Honourable Mention: SMITE - Also coming from Hi-Rez, this free-to-play MOBA is to League of Legends and Dota 2 what Paladins is to Overwatch. It's a textbook example of how to port an online-focused experience to a handheld-friendly console and is absolutely worth a look. The core fighting mechanics of ARMS are easy to grasp - especially when you're using the pleasantly intuitive motion controls - but they showcase the kind of depth which rewards dedicated players. Mixing up light and charged punches with your dashes and leaps allows you to create an almost balletic style of play, but add in grabs, stuns and features unique to each stage and you've got a truly formidable foundation to build on. The lure of collecting Arms will keep you glued to your console even if you only choose to play solo, but online is where ARMS proves its worth; getting into a match is an effortless affair and for those who want to take things to the next level, Ranked Matches provide the ideal means of proving your skill. 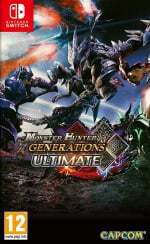 Monster Hunter Generations Ultimate is a sort of ‘greatest hits’ collection of the high points of the series, giving you hundreds of hours of content to play through. Couple this with HD visuals, easy-to-use multiplayer, and the ability to play the full experience on the go, and you’ve got a game that will easily appeal to both veterans and newcomers alike. An entirely separate quest board and ranking system exists for the multiplayer component, potentially allowing for limitless hours of replayability. Monsters fought while online are generally much tougher to take down, but having up to three other people whaling away with weapons of their own makes up for this, and you get a much greater sense of satisfaction beating a monster as a team, rather than alone. It may not necessarily represent the future of the series, but Monster Hunter Generations Ultimate is an utterly fantastic experience in its own right that no Switch owner will want to be without. DOOM is one of the best first-person shooters we've ever played, and is certainly the best in its class on Switch. There's a certain magical quality about having a game this good on the go. Its brilliant campaign is reason enough to pick it up, but DOOM's multiplayer will keep you coming back for more for months to come. Developer Panic Button had the good sense to build an invitation system into the game that is both functional and easy to use, and we love it. Games take place on small maps designed to keep you in contact with your foes as much as possible. Because of the small arenas, matches feel reminiscent of the halcyon days of first-person shooters, when Unreal Tournament reigned supreme. While it's perhaps not as polished as it is on other formats, having DOOM in portable form is a revelation, and Panic Button deserves high praise for porting over id Software's classic title so brilliantly. While some of the games included in this compendium are rendered somewhat superfluous by the fact that far superior sequels and updates exist alongside them, Street Fighter 30th Anniversary Collection remains an utterly essential purchase for any self-respecting fighting game fan. One of the most appealing online modes is 'Online Arcade', which aims to replicate the feel of the original coin-op version, where it was possible to begin a game as normal against the computer and then be challenged by other players. It's worth noting that when playing online, you can only select from Street Fighter II Hyper Fighting, Super Street Fighter II Turbo, Street Fighter Alpha 3 and Street Fighter III: 3rd Strike. That's more than enough to make this an easy recommendation, though – this is fighting game nirvana, pure and simple. 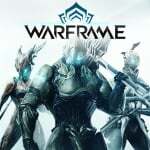 While Digital Extremes hasn’t quite perfected the formula it needs to make Warframe completely accessible - the sheer number of interconnected systems and customisable elements suggests it never quite will - it still offers a brilliant co-operative third-person shooter with all the MMORPG elements you never thought you’d see running on Nintendo Switch. From the impressive visual fidelity Panic Button has maintained, to the sheer breadth of free-to-play content, Warframe represents another milestone for the console. This is yet another excellent port of Minecraft, nothing more and nothing less. The versatile setup of the Switch allows this to be the most easily accessible, convenient and playable version to date. 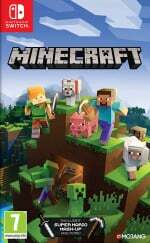 Of course, it's a game that’s often best enjoyed with others, and both online and offline multiplayer are supported here, with up to four players allowed locally and eight players online. If you want to play the best portable version of the game, look no further. How does Super Smash Bros. Ultimate stack up against previous entries? Vocal concerns about past games have been actively addressed, every single fighter from the series is present, the customisability is overwhelmingly vast and it’s all topped off with super-solid single-player modes to boot. Online is a bit of a minefield for games like Smash that demand precision timing and the lowest latency possible, but thanks to what we can only assume is some sort of cosmic magic, Ultimate plays really well online. You’ll occasionally run into a game with someone whose connection is less than solid, but the majority of the time it feels practically as responsive as playing a local game with a wireless controller (possibly thanks to the system’s preference for matching up against nearby players). We’re not sure how you could make a more robust or pleasing Smash game. Super Smash Bros. Ultimate truly is the ultimate instalment in the series, and it makes you wonder where Sakurai can possibly take this franchise next. That's it for our round-up of wonderful online multiplayer games to keep you occupied on Switch. Do you think we've missed any? As always, let us know below. Gavin loves a bit of couch co-op, especially when he gets to delegate roles, bark instructions and give much-appreciated performance feedback at the end. He lives in Spain (the plain-y bit where the rain mainly falls) and his love for Banjo-Kazooie borders on the unhealthy. Doom and Diablo have been fantastic on the Switch, and Street Fighter is always a pleasure. Smash goes without saying. Still....no Wargroove love? That game has been the sole focus of multiplayer gaming in my house since it launched! 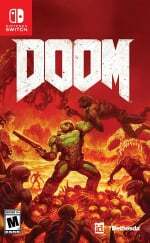 I never picked up doom as I assumed it's online would be a wasteland and Ill never find a game.? Also am considering worms as its on 50% off but again I feel this will be dead. You forget that it is hip to hate on Fortnite...SO HOW CAN IT BE GOOD? Good list, just wish there was some more online games yo play. 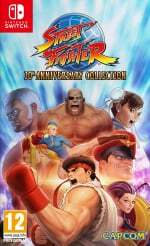 Street Fighter 30th Collection online is practically unplayable online, even on other platforms. Half the time it just freezes after finding an opponent, and when it does work, half the time it's extremely laggy. So you've got a 25% chance of a good match. I think the best Switch game I've played in terms of online performance is Monster Hunter. Missing Warframe and Monster Hunter Generations Ultimate on that list. Ouch. @ReaderRagfihs i was about to say this. It's an unplayable mess. I've gotten tons of online mileage out of the Japanese exlusive Pro Yakyuu Famista Evolution. Online games are just quick 3-inning games and that's a great length for online. That's pretty much the only online I've played besides a bit of Mario Kart 8 Deluxe, Attack on Titan 2 and NBA Playgrounds. You put Street Fighter on there but no Warframe, or Monster Hunter Generations Ultimate? Only like 12 people still play ARMS. Stop trying to push it. Arms being here and not Mario Tennis Aces is criminal. I also suggest dragon ball fighterz. What a game!! @Thecoe my partner plays Worms online on the Switch... with some difficulty. There are players but not many so you end up playing the same people regularly. Due to the few players and the length of matches it could take up to 15 mins to find someone to play with. The people that do play have really stuck with it though. I'm still yet to buy ARMS but guessing there won't be many people to play online with anymore, especially now everyone has to pay a subscription. "Let’s face it – this is probably sitting on your Switch dashboard already, and there it should stay." Splatoon 2 is probably the most solid online experience I've had on the Switch. Great game! 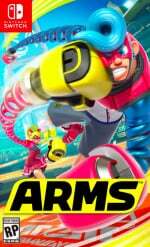 ARMS - is the game I've played online the most - every party crash I pull it back out. It remains the game I feel is least appreciated on the Switch - due to it's brutal early learning curve. I'm glad they are continuing to do Party Crashes - they have plenty of people playing them. MK8 - I played a good bit online, and can humbly say I'm insanely good at the game, but the cheaters make things frustrating online. Watching someone fire a blue shell at the start line, right as the race begins, before we've even gotten to the power-ups is frustrating and happens more often than it should. Rocket League - such a disaster online. I really liked it local, played 30 hours with friends and family, then went online and stopped playing the game altogether. I've never seen worse match-making in my life. How come Warframe is quite often ignored on this site? Seems strange especially in an article like this. It's an amazing game, a technical stunning production, and one of a few F2P games that actually lives up to the free part. Not to mention the huge amount of single and multiplayer content. Monster Hunter Generations Ultimate and Warframe. Gotta mention these. @wazlon arms was great at launch but it took a big hit after the online subscription. Tennis aces took a hit as did all the online games but arms was really hard for me to get a game online. Sometime I waited over 10 minutes. I bought ARMS at about half price a while ago, but haven’t played it. I am not that interested in the multiplayer, but I am very interested in the game. Without a doubt, Tetris 99 is definitely my top online game on Switch. It's addictive, it's rewarding, it's maddening and has made me want to throw my Switch out the window numerous times already - in short, it's everything you could want from a competitive online experience. Got a lot of love for aces, shame it never launched with doubles, local couch co-op against others online is genius!! I'm glad that you've included Diablo 3 in the list. This game tends to get brushed off as "a port of an old PC game". It's actually a pretty rare game that's as fun online as it is offline. And it feels nothing like a port. No Mario Tennis?? Really??? Too bad, it's one of the best multiplayer games in the console now. Pretty dissapointed. It deserves to be there much more than many from the list. Clearly Paladins for me. One of the best free to play on console. I have really good time with it and the motion control with the controller pro is really great, almost as great as the one in Splatoon. Good diversity beetween all the characters and spending money is totally for new cosmetics. You just have to connect 2 mins each days and after a week you'll have a good amount of money and 50 jewels to buy the cosmetics for characters or yo unlocks new characters. This game is awesome from my point of view. Having regional match ups to compete for GLOBAL Smash Power in Ultimate is absolute nonsense. They should have dedicated servers for the game. People are paying for an online service now. They didn't pay for NES games, pleasant though those are. Furthermore, there was nothing wrong with For Glory/For Fun. The arena system is abysmal, so as it stands there is no quick way of having a casual online match that doesn't affect your ranking. And that's the biggest problem with it, they've introduced a highly competitive element in Elite Smash, but they've not seen to ensuring that online works well enough for that. In Smash 4 if you had lag playing an online For Glory match, that was just annoying. Now it's destroying your Switch infuriating. Even winning when the connection is this bad isn't fun. And other online games that I own don't have nearly as many difficulties. People have apparently accused the Smash development team of being lazy. That clearly isn't the case. The issue is they have made some bad choices, particularly with the online, and have focused on adding to the chaos of a Smash game, rather than focusing on it actually working online. I would take merely the original 12 roster if it could work properly online. Spirit Adventure is OK, but did we need it? All of these are great, but there is one simple thing Nintendo can't do that makes me go to Fortnite WAY more than any others: Native voice chat. There is simply no point to play online with friends if you can't talk to them. No Warframe makes this article a complete joke. Unlike fortnite whose only claim to fame on switch is voice chat, Warframe has voicechat plus it's a triple A experience with 1000s of hours of content. "Signing up for Nintendo Switch Online just to play [Tetris 99] might be a bit of a stretch..."
20 bucks for the GOTY? Sounds more like a 'killer app' for the service to me. The online in Mario tennis is probably the best part. 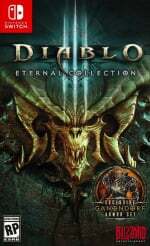 Lots of people seem to play diablo how comes I never find a game to play with anyone? @Franklin actually... I paid for the NES games. Rocket League is great! After a year and a half I am still playing and having fun. I love Doom, Tetris 99, Mario Kart, Diablo 3 and Smash. I feel that some of the games like ARMS and DOOM shouldn't be present on this list because the lobbies are completely dead. I think I’ve got all of these (except the free to play ones), but don’t get online as much as I should. Then when I do I lose anyway. Dragonball Fighterz the same too. I’d like to try Wargroove online but I’ve not got around to it yet. As much as I love the game, Smash Bros Ultimate's online needs work. The issue of running into matches that I don't care for is still present and I also feel Squad Strike should have online functionality. The worst part is to me, the easiest fix to the online is to just add in a decline option. When the game finds an opponent, it selects either your rules or your opponents but then it should present said rules to both players and if you're not okay with them, you have the option to decline it. As much as I love Rocket League, it's just a constant buggy mess. I've never known any other game that clears a bunch of issues and introduces more with each update. I just wish Psyonix would focus more on fixing the problems before adding anything new. Wow, you list Minecraft, ARMS, Splatoon 2 and Doom before Warframe and Monster Hunter? Uninstalled Fortnite after giving it a longer leash than any other game ever. Buggy mess just isn't worth it. Doom multiplayer is pretty nonexistent though the single player game is still worth the sticker price. 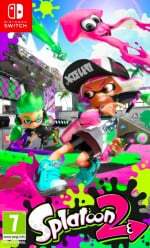 Splatoon 2 is not only the best Switch multiplayer game, is the best online game ever made. I love Splatoon and my post is totally unbiased. Smash Bros Ultimate is the worst online experience I've had in years, not even playing in front of my router seems to have solved any of the massive lag in the matches (due to being P2P, I can't do much about opponent's connection). To make things worse, they've advertised the Ethernet adapter as if it was our concern, a basic feature that was stripped from the dock is now almost mandatory to the experience. It's almost cynical to see SSBU in this list. @1UP_MARIO Ouch! 10 minutes and if I remember from the demo then online matches aren't that long. The Monster Hunter and Warframe cheques arrived! We've added them both to the list. @Swiftstorm It's nothing personal against the game, more the reality of always having five new games in the queue I personally put about an hour into Warframe when it first came out - barely scratching the surface - and then had to move on to something else. Dom has had a great time with it, though, and we'll be adding to and evolving these lists over time from now on - we're happy to adjust them if something slips through the net. Haha awesome! And no worries I was not implying foul play, just felt it strange that you hardly ever seem to mention the game, as it is really a great experience on Switch. And don't worry an hour gets you as far as 200. It is in intricate web of convulted systems. The gameplay and community makes up for it. The best advice I got when starting was: "Have fun playing, do not worry if you don't understand the many systems". But glad to see it included. Thanks!